So there I was in Mandalay. Here’s the story I cobbled together. 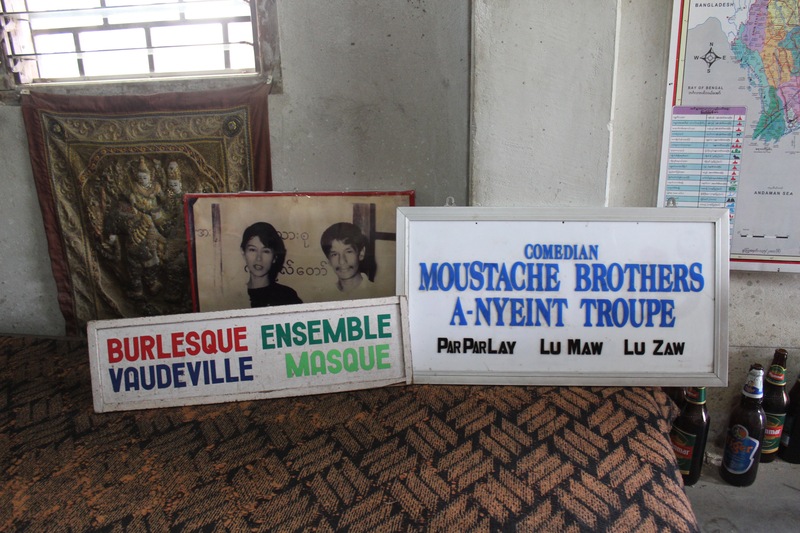 Signs on the stage at the Moustache Brothers’ space in Mandalay. Par Par Lay and Aung San Suu Kyi are in the photo behind the signs. A couple new Global Hits on The World in the past month. Hüsnü Şenlendirici is a big-deal Turkish clarinetist whose recorded output sometimes tends towards the New Agey, but was way more old-agey when Julia and I saw him in Philadelphia at the end of October. 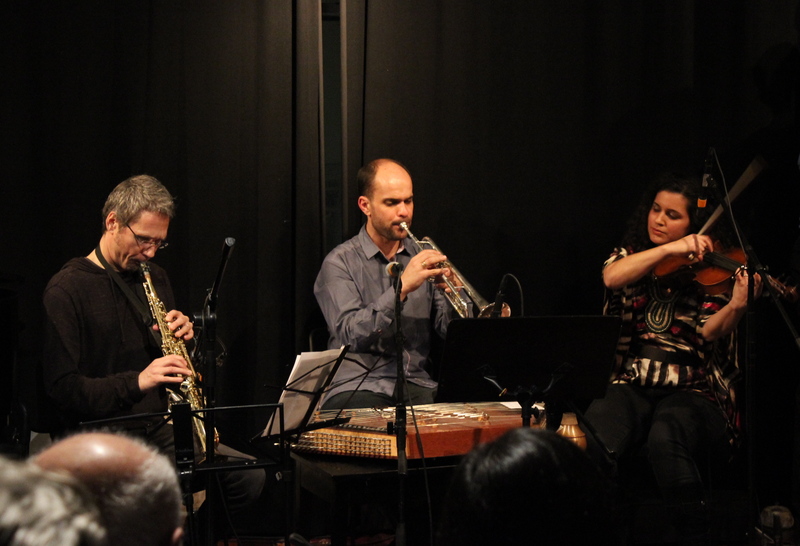 The show was part of Al Bustan Seeds of Culture‘s 2012-2013 season. Here’s the story I filed for The World. I first got into Bachata a couple years ago when I was working at WYPR in Baltimore and a few of the newly resurfaced legends of the music came to play at Artscape. I recently got back in touch with Benjamin de Menil, the guy who put on that show and runs iASO Records, a label largely devoted to bachata. He told me about an upcoming bachata show he was putting on in Manhattan, mixing a two generations of bachateros. Can’t miss that. Here’s the story. I’m sorry to say it, but by the time you read this, Fanfare Ciocarlia [fun-FAR-ah CHOKE-ur-LEE-uh] will have left North America. If you’re in Europe, though, you really should try to catch one of their dates there. It’s a helluva show. 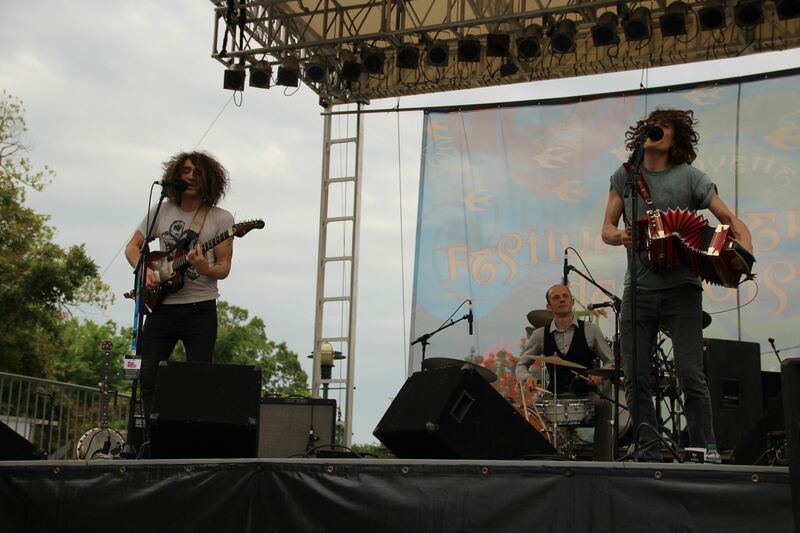 Here’s the story I did for The World about their New York date; it was part of the annual New York Gypsy Festival. Here’s a longer version of the song that ends the piece–it starts right after I ran out into the lobby to get closer to the band as they marched out of the theater. Awesome. 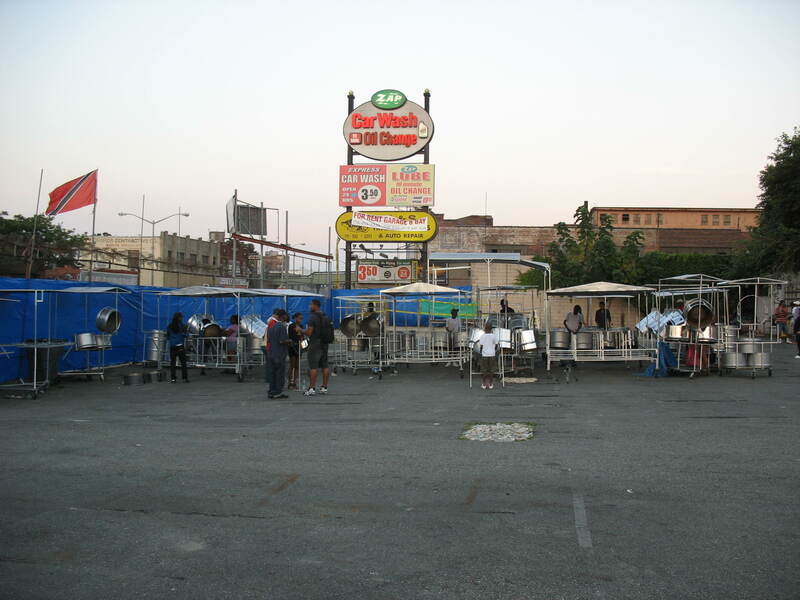 Players gather at Despers USA’s pan yard on Atlantic Avenue in Brooklyn. I wish I could take credit for it, but it was someone over at NPR who chose the title “Bang on a Pan” for my story about the 45th annual Steel Band Panorama competition. It’s a genius title though, right? One basic thing I think I didn’t convey in here is just what a majestic spectacle it is when a huge steel orchestra is all synced-in and playing at the top of their game. If you’re in Brooklyn next August, do yourself a favor and go to a band launch party. The website When Steel Talks is a clearinghouse for information on steel orchestras, including the ones in Brooklyn. Another good resource is the book The Steelband Movement. It’s an academic but readable account of steel drumming’s origins, history, and political character in Trinidad. 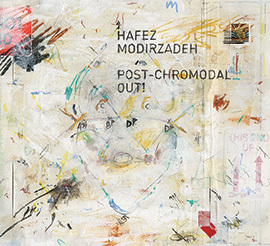 Hafez Modirzadeh lives this generous, universal philosophy centered in music. He’s been refining it for 30 years. A lot of it began with Charlie Parker. Hear a bit about it in my story; learn more about it here. But, really, just spend some time listening to his music. Allow me to set my journalistic objectivity aside for a moment and say I just really like Radio Jarocho. You can listen to the story I did about them for The World here. 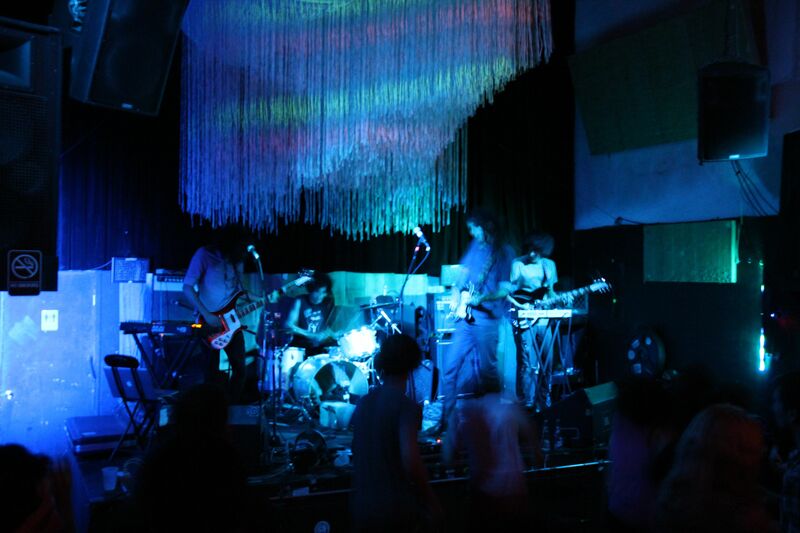 But you should really try to catch them live–for one thing the visual fun of their performance is lost on the radio. 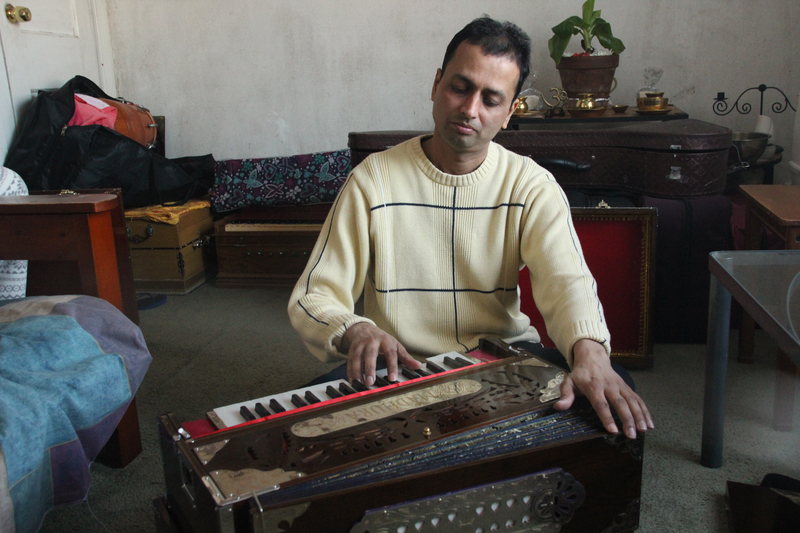 They also teach regular jarana and zapateado lessons. Dig ’em. 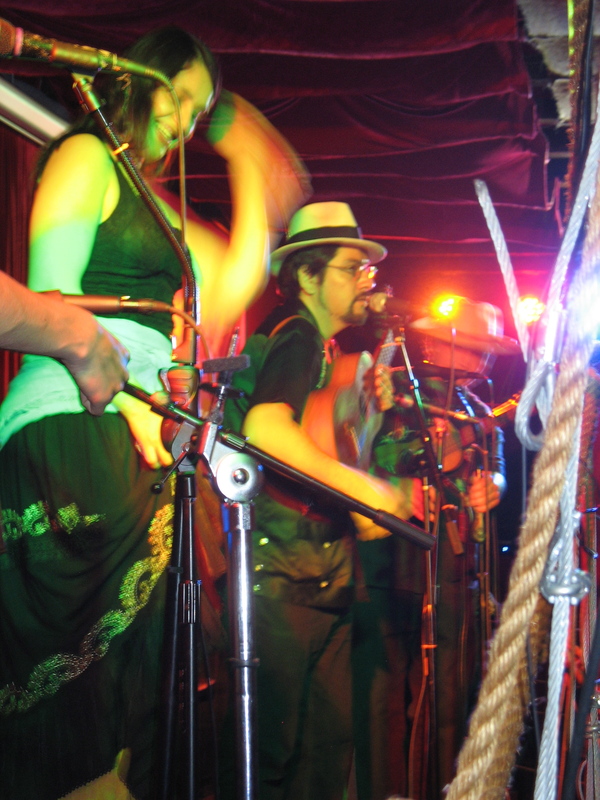 Radio Jarocho at Terraza Cafe in Queens.